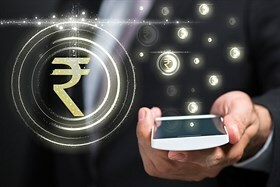 With the boldest move in the History of India, The Demonetisation of Rs 500 and Rs 1,000, the nation continues to see a gradual shift towards newer payment platforms which should help India move towards a less cash economy. Higher tax compliance as well as lower costs have the potential to accelerate this change, especially post demonetization, but we would watch the pace of change for a few more quarters. With 200,000 ATMs and 1.4 million POS machines, Indian banks seem to getting an unexpected benefit coming through demonetization as the bulk of 711 million debit cards and 2.7 million credit card holders have started to look seriously at newer channels of payment. Volume through POS machines is growing at 30% CAGR since FY2013 while those through ATMs have been growing at 15% CAGR. We see transactions through POS machines still growing across markets. We believe it unlikely that India would completely leapfrog to a ‘less cash’ society by moving directly to mobile payments. We do see banks continue to make aggressive investments in building a POS framework in the medium term as new initiatives allow consumers to make contactless payments. We see that SBI has been leading with a strong share in ATM, POS as well as transactions and volumes on debit cards. The leading private sector banks (Axis Bank, HDFC Bank and ICICI Bank) are doing exceptionally well amongst private banks. We note that technology is not a key driver though we believe that the superior execution of these banks as compared to the rest of the players is the key differentiator. Strong traction in payments would continue to act as a positive catalyst in maintaining high CASA ratio while these banks can continue to invest in analytics to reinforce their dominance in banking over the long term. We have seen mobile payments (IMPS) in India picking up quite well and currently at about 20% of the ECS transactions. However, what appears to be disappointing is an extremely weak start for UPI (United Payment Interface) despite favorable underlying market conditions for faster adoption. Higher tax compliance as well as lower costs have the potential to accelerate this change, especially post demonetization, but we would watch the pace of change for a few more quarters. This entry was posted on Thursday, December 15th, 2016 at 12:41 pm	and is filed under Data / Analytics.